So how does one use the Python script for Windows? Essentially no differently than one would use it on Linux but there are a few extra steps that are needed to get it working properly. 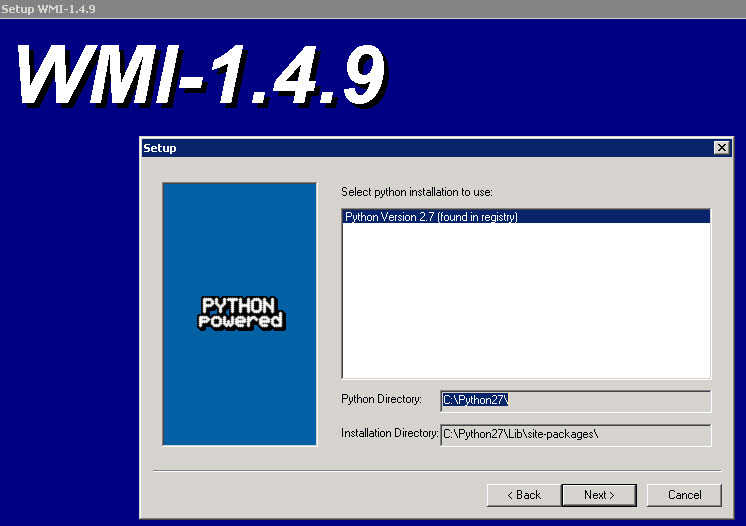 Since Windows, unlike many Linux distributions, does not come with Python installed, Python needs to be installed beforehand as well as a few tweaks. Before I get into it, a few notes. First the Python script does not support configuring Linux and Windows hosts at the same time. It must be a homogeneous environment, otherwise only one OS type can can be installed and configured at first in this manner and the remaining OS type must be added manually afterwards. Secondly, EMC does have a packaged install for the changes and Python modules that are required. This package includes all of the stuff that otherwise would have be done step-by-step like I am going to describe below. Contact your EMC account team for more information on how to get it. Or just do the following! Download this, run it, and a few “nexts” and you are good. This includes most of the modules that the script will need. Note that this must be installed on all of the Windows servers involved. Before you install the WMI module, you need to make a quick registry addition to allow the module to “see” the Active Python installation. A registry key needs to be added in the 64-bit directory to indicate that Python is installed. This ONLY needs to be done on the server initiating the script–the rest do not need the registry change or the WMI module. Copy/paste the below text into a plain text file and save it as <some name>.reg and run it on the server. This will create the appropriate keys and allow the WMI module to be installed. If the installation of the WMI module doesn’t pick up the installation path, go into regedit and make sure the keys were created properly. Once this is complete you are ready to use the Python script! 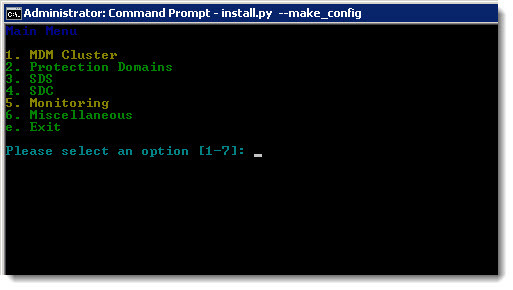 Launch the install.py from the Windows command prompt and start installing your environment. 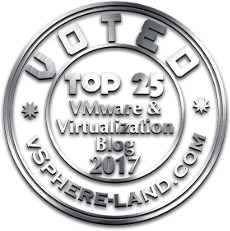 Use either the wizard to configure the environment or have it reference a pre-created CSV file.